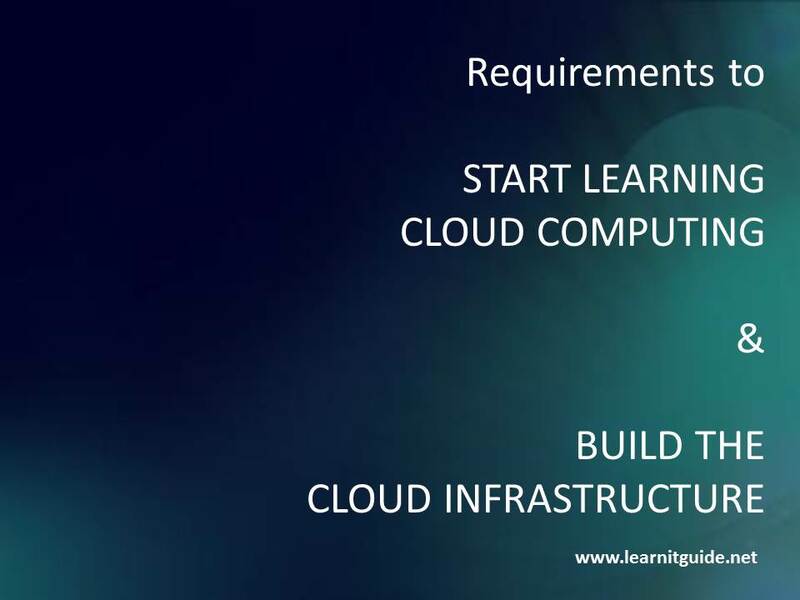 Most of us have this question in our mind that, what are the basic requirements to start learning cloud computing and how to build the cloud infrastructure. In this article, We will tell you what is need and how to proceed for it. If you have prior knowledge in data center infrastructures, basic concepts of operating systems, networking concepts and virtualization technologies would be an good advantages to learn or build Cloud computing oriented architecture. Because these are somehow related to work with cloud computing platforms. We can learn cloud computing from the basics even if you dont have skills on Information Technology. Many providers are available in the market like Amazon Web Services, Microsoft Azure, Google Compute Engine and Rackspace Cloud for Infrastructure as a Service and also like Salesforce.com, Microsoft Azure, Google App Engine are available for Platform as a Service. Virtualization Technologies plays a very big important role in terms of cloud computing. It is not like that you have to go and create a new virtual machine as we do normally in virtualized environments like VMware, VirtualBox and etc,. But atleast know some virtualization terms to become a good cloud admin. Last but not least, have a clear idea about Public Cloud and Private Cloud Computing mean. We refer Public Cloud to a publicly accessible infrastructure where you can store data, virtual machines and any other kind of cloud resources. We don’t have to invest on hardware or infrastructures, We just use them with a pay per use option. Best example for public cloud is we are not buying the car, we are renting it for a specific period of time. We refer Private Cloud as, a company want all the flexibility and advantages of Cloud Computing but still have your own data center, your own infrastructure and you are responsible to manage it. In the upcoming article, we will show you more about cloud computing.